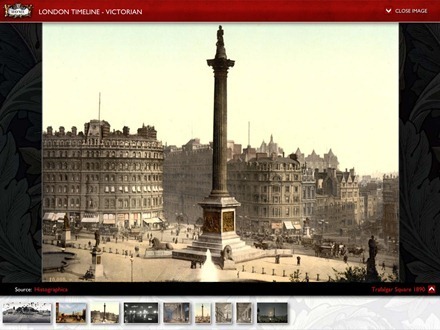 “London: A City Through Time” is neither coffee-table book nor guide nor map, but a nearly endless fusion of all three in a digital application, or “app”—nearly 2,000 years in the life of one of the world’s great cities. Even diehard Londoners are destined to discover something new. 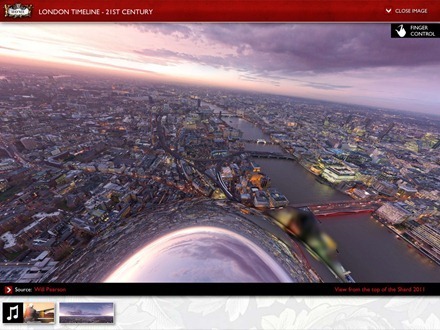 … it offers an indispensable reference to the 2000-year history of the world’s most complex city. 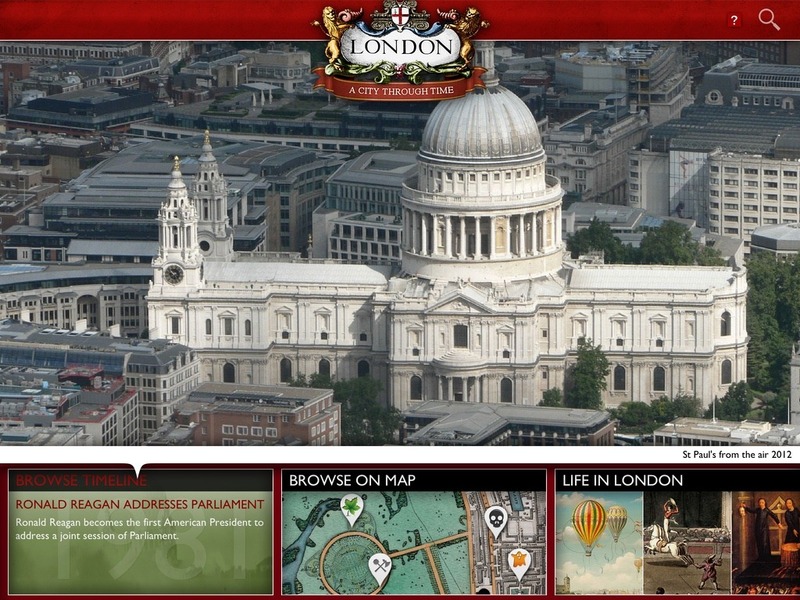 It boasts over 6000 articles on the capital’s museums, statues, buildings, streets, trades, people, parks, rivers and more. Over 2000 rare prints and photographs. Thirty-five video documentaries and clips from the archives of the Pathé movie library. I works in landscape mode only, but that makes perfect sense given the layout and workings of the app. 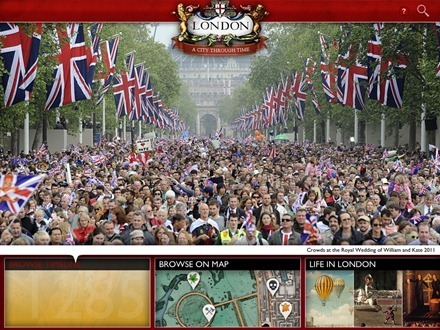 There’s a rotating set of superb images taking up about 70% of its main screen. A series of panels along the bottom of the app’s screens lead to the main ways to explore it – Timeline, Browse on Map, Life in London, My London, Audio Tours, History on the Tube, Audio Visual History, browse by subject, Notable Londoners, App Credits and Error Reporting. Some of the images in the app haven’t been downloaded, for good reason – “to keep the app size a bit more reasonable”. When you tap the thumbnail for one of these you get a popover telling you the file size and letting you know it may take a few minutes to download but should only need to be DLed once unless you remove the app. These generally download fairly quickly. As far as the app size being reasonable, it weighs in at 1.1GB on my iPad 3 and I haven’t gone too crazy on the downloading of images. — The sheer scope of the app. 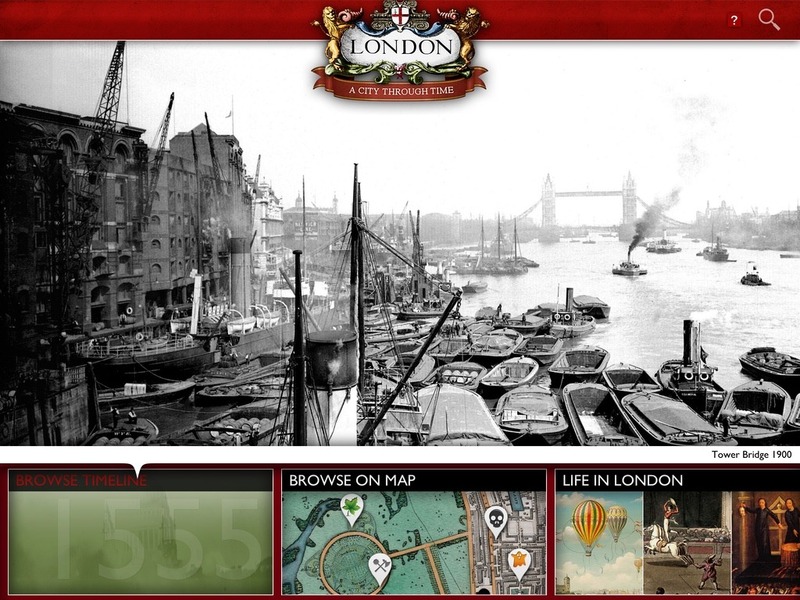 Very few cities have history as rich as London’s and this app lets you discover and explore so much of it. 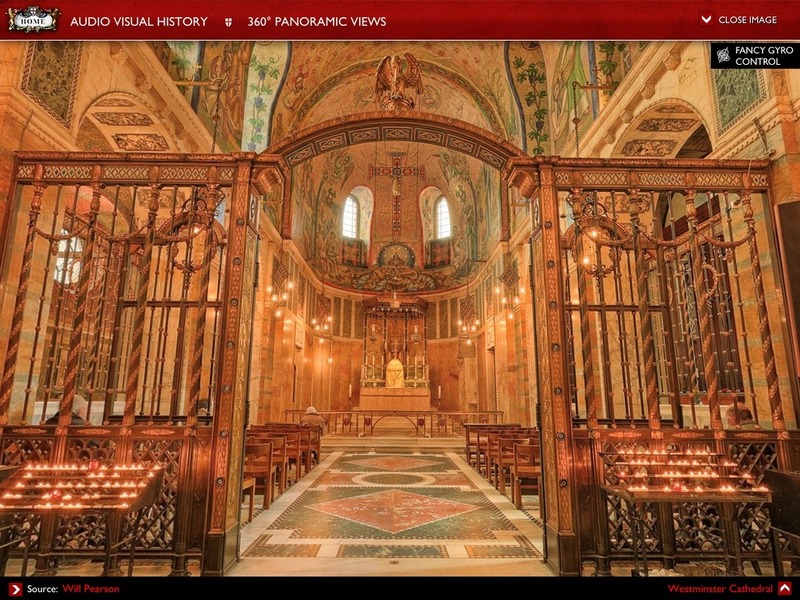 The Timeline view goes all the way back to a short page on Prehistory – then starts off properly with 43AD and an entry for when Londinium is settled. — The auto rotating set of images on the app’s main screen is fascinating in itself – I could sit and stare at this for ages. 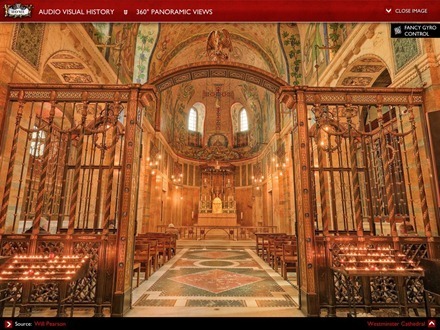 The images are fantastic and again cover centuries worth of history. — The panoramic images where you can move the iPad and view from different angles are great too, and the image titled View from the top of the Shard in the Modern era section is an amazing view of over the whole city. 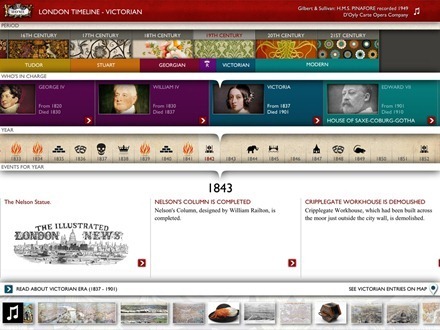 — Many of the events in the timeline are accompanied by very good photo galleries and summary articles on the historical events.You can browse by Period, Who’s in Charge, or Years. 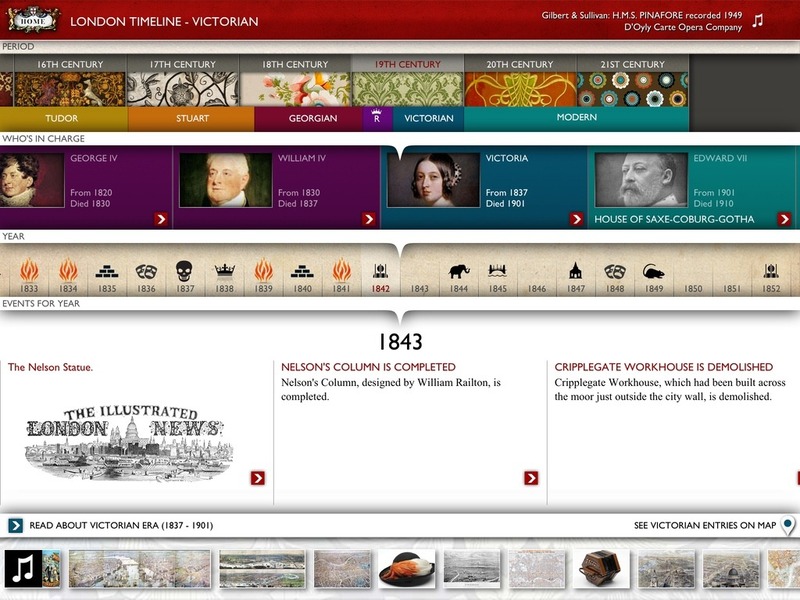 You can also choose to view the period in a Maps view with tons of POIs (points of interest) shown. 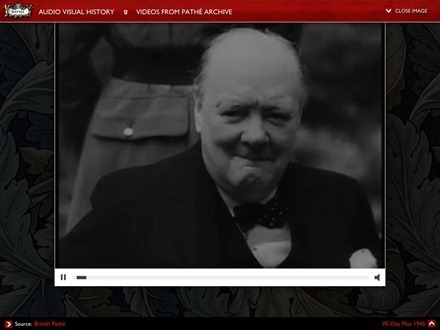 — The old Pathe news reel videos sprinkled throughout the app are great. — When you go out of and return to app it sometimes opens to its initial splash screen with sponsors’ banners, rather than to where you left off, or even to its main content area. You can swipe up or down to get rid of the splash screen pretty quickly but it’s very annoying and detracts from the experience when browsing the app for long periods. — On the app’s main screen the timeline block at the bottom left spins and lands on different events – but if you tap on them you don’t go there, just back to where you left off in the timeline. This seems counter intuitive. Why bother making that a featured panel tap-able if it gets an unexpected result? London – A City Through Time is an excellent app, a wonderful introduction to London for those who haven’t had a chance to visit the city yet, and a great experience even for those who know the city well. I spent a dozen years in London and have very fond memories of it. 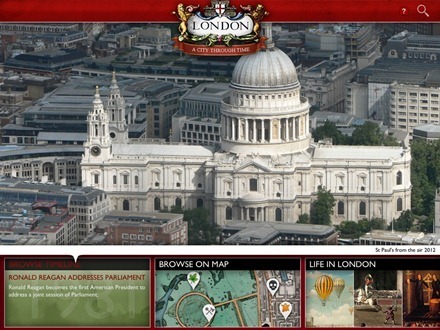 This app brings back great memories, but also lets me explore and discover umpteen things I never knew about the city. 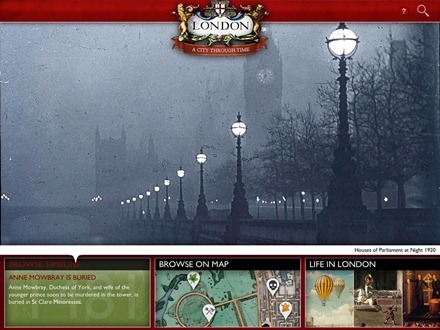 If you’re even mildly interested in London and getting to know, or discovering more about, one of the world’s greatest cities then this app is a great starting point. 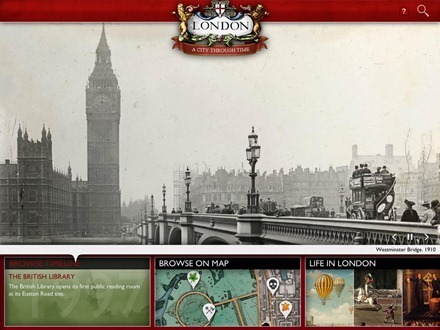 Here’s an App Store link for London – A City Through Time for iPad; it’s priced at $13.99. At first i thought that the app may be slightly over priced because these days it can be hard to get people away from the free apps. I see now that there is no much detail that has gone into this app. It allows you to really capture the buety of the city from your lounge room. It is a bit of a shame that it has a few annoying errors with it though. Yeah, I think the price is fine for the depth and quality of content in the app – but with its premium price it should also bring regular updates and fix those flaws mentioned above.